2017 is almost over. For most of us, there are reasons to be nostalgic and there are reasons to be glad we can just move on. That’s how we feel about tech from this year, too. We’ve polled each member of the Ars Technica reviews team about their favorite and least favorite tech products of 2017. Each staffer has made their own selections and written their own explanations. We’re taking a broad definition of tech product here. It’s not all about gadgets—a selection can be software, a service, or even a feature. Note that every one of these choices is a personal selection. In our reviews, we aim to provide enough context and objective information to give readers a very strong sense of the pros and cons of each product so they can make their own, informed decisions about what tech works for them and what doesn’t—because everyone has different priorities and needs. We do share our personal opinions, because that’s part of reviewing a product, but we try to do that in a way that helps flesh out that context. Here, we’re just sharing our personal picks. Sometimes there’s a difference between the best tech product of 2017 and your favorite. These are our favorites—well, half of them are, anyway. The other half are products that we don’t care for. Below, you’ll find the selections from staff listed in alphabetical order by last name. Here’s to a 2018 loaded with new favorites. Enlarge / The OnePlus 5T. Check out those slim bezels. The Google Pixel XL 2 is the best Android phone you can buy, but I’m a sucker for good, cheap devices, so I’ll have to pick the OnePlus 5T as my favorite product of the year. 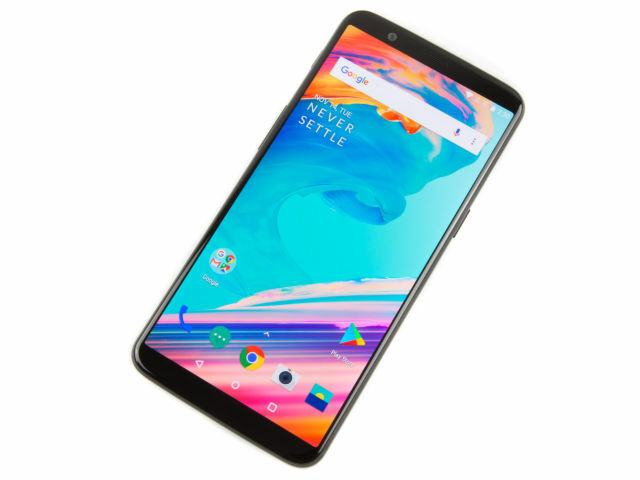 OnePlus has usually offered high-end specs with a low price, but with the tradeoff of a dated design. 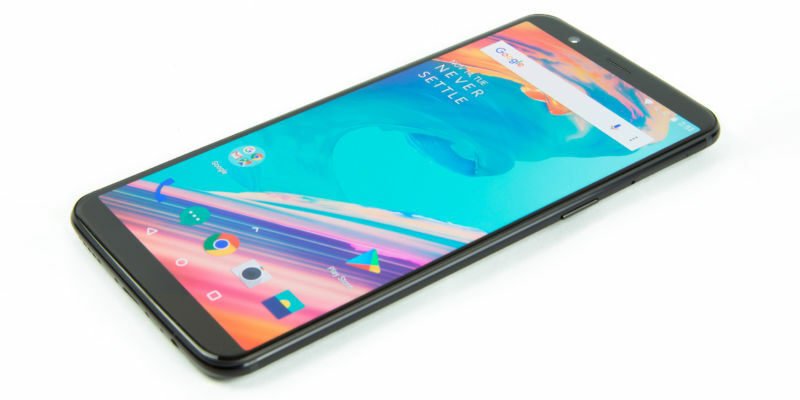 This year OnePlus went all out in the design department, producing a slick, slim-bezel device that looks just as good as these $800-$1000 phones, but at a $500 price tag. The aluminum body and a near-stock build of Android is often an upgrade over a Samsung or LG flagship. Sure, there are some tradeoffs. You won’t get the day-one updates of the Google Pixel or the top-tier camera, but everything OnePlus ships is “good enough” for the budget conscious consumer. I really wish more companies would take a swing at making a good phone that isn’t at flagship prices. It feels like most companies only try for their ultra-expensive phones and then either just don’t release anything cheaper than that or release phones that are clearly subpar junk. I miss strategies like Motorola when it was a Google company, and you had 3 great phones—the Moto E, the Moto G, and the Moto X—all along the pricing spectrum. My least favorite product of the year is probably Samsung’s new voice assistant, Bixby. We’re used to Samsung shoveling piles of half-baked software out the door with every smartphone release, and sure enough, Bixby is a slow, barely working “me too” product, with no redeemable qualities. Bixby is more annoying than the usual terrible pack-in software because it elevates Samsung crapware to the hardware level. There’s a hardware Bixby button on both the Samsung Galaxy S8 and Note 8, and while normally you can ignore software you don’t like, there’s no ignoring that hardware button. After a backlash from customers, Samsung finally relented and allowed users to disable the Bixby button. A dead button on the side of the phone is hardly ideal though, and Samsung ought to officially support remapping the button. Third-party remapping solutions are available, but they are janky hacks that often break. Voice assistants are all about accessing an ecosystem of services, so it doesn’t make a ton of sense for Samsung to even be in this business. Siri is useful because it is on all your Apple products. It allows you to save data in all your favorite Apple apps and access Apple services. The Google Assistant is useful because it’s on most Google and Android products (including on Samsung phones) and any voice commands access the Google apps you’re using everyday anyway. For example, in both of these systems, asking for directions will launch Apple or Google Maps, respectively, and setting a reminder will use Apple or Google Reminders. Samsung doesn’t have an ecosystem of apps and services for Bixby to plug into, so it is mostly relegated to controlling the phone hardware. If Samsung does have some kind of appropriate app for this data, the information is locked into that single piece of hardware. Samsung doesn’t sync information across devices the way Apple does, and it doesn’t have the plethora of Web interfaces that Google has. Bixby is just so limited, it’s not worth using. And that’s not even mentioning the slow speed, poor voice recognition, and general bugginess of Bixby. Samsung, you’re good at hardware—stick to that. Bixby is not going to happen. 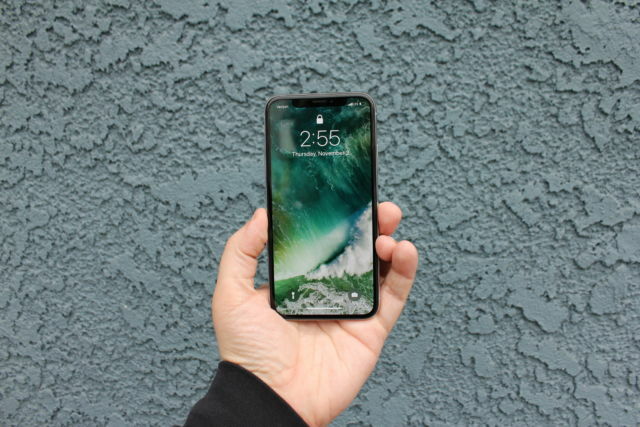 Enlarge / The iPhone X isn’t actually “all screen,” and it has that notch. But that doesn’t make it any less dramatic. I haven’t been thrilled with the iPhones of the past few years. I viscerally disliked the surfboard design. Neither size felt quite right, either; the 4.7-inch model’s screen was just a little too small, but the Plus seemed laughably huge to me. I wished that, for one single year, Apple would stop trying to make the thing thinner and faster and instead do the three things I actually want—give me better battery life, move the design forward aggressively, and introduce new features that would stir developers to bring me cool new app experiences. Two out of three? I’ll take it. The iPhone X found a perfect sweet spot between the two sizes. The (almost) edge-to-edge display makes a dramatic impact, along with the quality of the OLED panel. Apple’s display calibration elevates the iPhone above the competition. (And no, the notch doesn’t bother me at all.) The TrueDepth sensor and AR components open doors for app developers to innovate again, after the app ecosystem had begun to feel stale. The design stuff is neat, but it’s the possibilities for new apps and interactions that make this my pick of the year. After a few years wandering in the woods, Apple is leading again—at least for a while. We’ll see what 2018 and 2019 bring. This pick is too obvious—I know it is. But I believe Facebook reached new lows in 2017, and they’re so low, I can’t imagine picking anything else. It’s not about politics or fake news. It’s about aggressive hostility to every user—something no tech company should ever get away with. Facebook is bloated with pointless features. It’s trying to perform every kind of tech-related online service, from shopping to news. Because it’s so dominant, it gets away with driving out better products and services from would-be great tech companies on both the Web and mobile. This was the year of Facebook video. Facebook paid video-production companies pennies to produce hours and hours of terrible live video filled with brand integrations. The social media giant used its News Feed algorithm to reward publishers who just created terrible infographic videos that literally showed article text in big fonts against a video background. Think of the human hours wasted watching those videos instead of reading articles—or watching videos that are actually good. This was also the year of Facebook doubling down on its philosophy that it should decide what information is relevant to you, the user, and what’s not. Here’s a hint: Facebook picks the information that has the most money behind it. On Facebook, users aren’t the customers—they’re the goods being sold. I don’t think we should put up with that from tech products in 2018. And yet, I’m not optimistic it’s going to get any better. You are reading an article on the Our favorite—and least favorite—tech of 2017. All materials on the site Gadgets F, а также и статья Our favorite—and least favorite—tech of 2017 - written for the purpose of information enrichment and we are happy if you like our magazine.